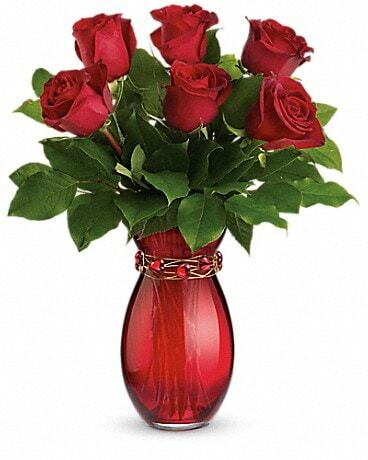 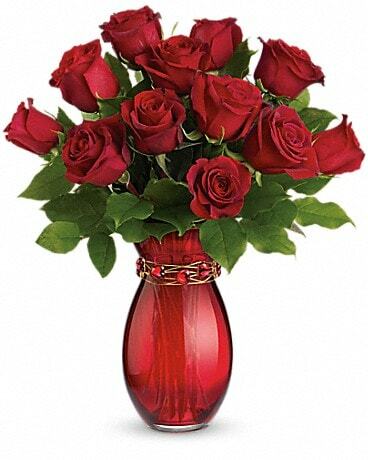 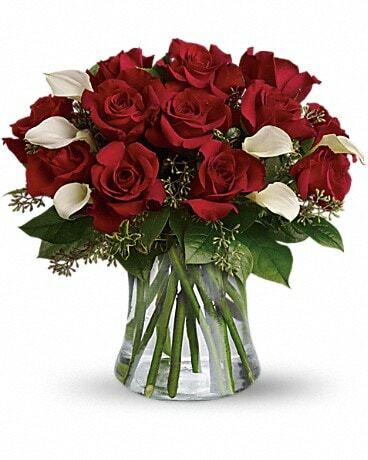 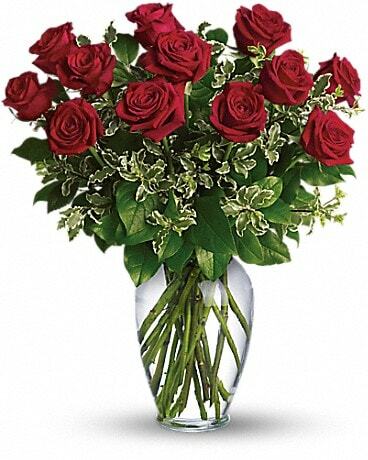 Red roses hand-delivered in red glass vase this half dozen roses are the recipe for romance! 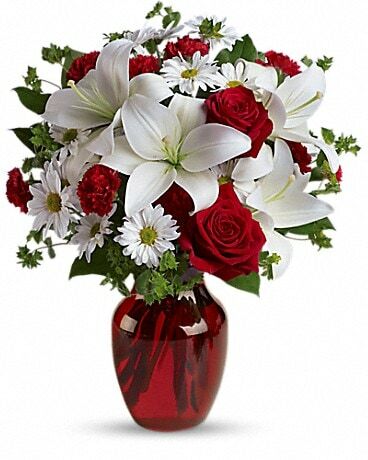 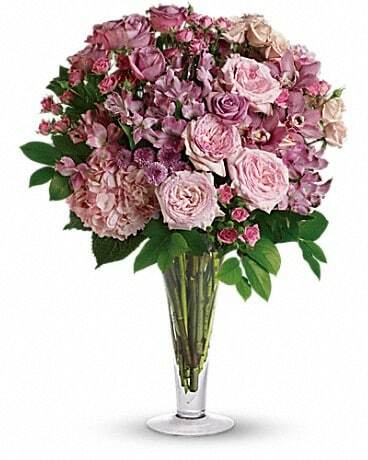 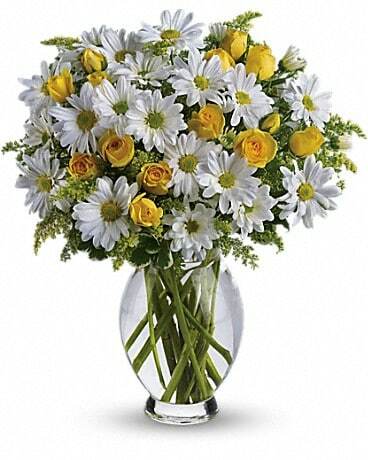 Sweep your sweetheart off her feet with this breathtaking arrangement a special Valentine's Day delivery she'll never forget. 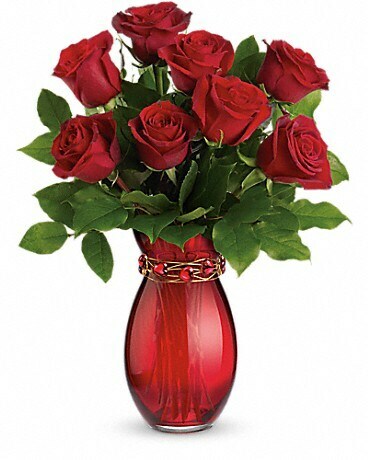 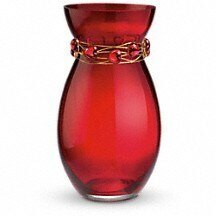 Red roses hand-delivered in a hand-blown red glass vase with a striking bracelet are the recipe for romance! 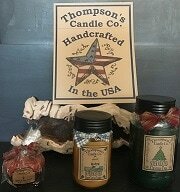 Sweep your sweetheart off her feet with this breathtaking 3-in-1 gift - a special Valentine's Day delivery she'll never forget.